Last year Tim Cook was talking about a record holiday quarter with 37 million iPhones sold, the highest number ever. But this year Apple went even further: 47.8 million units have reached their new owners. 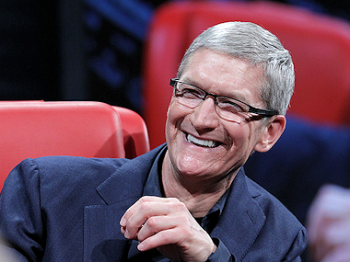 Following the reports of this amazing quarter, Tim Cook has emailed a letter of congratulations to employees. Within the email, Tim Cook thanked employees for their “incredible hard work and focus” and underlined the success of iOS devices: Apple sold a combined 75 million units of iPhones, iPads and iPod Touches in just one quarter. Just like in 2012, when the company held a Town Hall meeting after announcing their holiday quarter earnings, in the email sent out last night just after the earnings call, Tim Cook asked company employees to attend an employee communication meeting scheduled for today at 10 a.m. PST. He also noted that employees will be able to submit questions via AppleWeb in advance.